Nutrient pollution is altering the availability of nutrients for phytoplankton in waters throughout the world. The consequence is that many receiving waters are now not only enriched with nutrients, but these nutrients are in proportions that differ from those of decades past—and also diverge considerably from those that have long been associated with phytoplankton growth, namely, Redfield proportions. 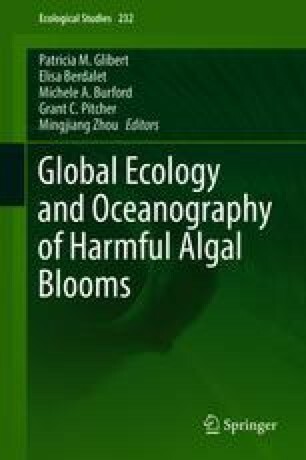 The classic focus on nutrient limitation and application of fixed kinetic models has created considerable confusion in the literature with respect to nutrient regulation of harmful algal blooms (HABs). Here, we underscore the dynamic nature of nutrient responses and the fact that nutrient ratios do, indeed, matter, whether nutrients are limiting or not. Understanding nutrient limitation of growth does not inform changes in biodiversity, including changes leading to HABs. Our concepts of nutrient regulation must be expanded to include an understanding of how nutrients can be regulating even in a nutrient-saturated, eutrophic environment. The complexity of management of anthropogenic nutrient loads is well recognized, but our practice of viewing responses through a single, limiting nutrient viewpoint has hampered progress of nutrient management in relation to HABs. Controlling one nutrient may control overall biomass, but it may have unintended consequences for community structure. The synergism complicating our understanding of the relationship between nutrients and HABs, and further negating the simple construct of nutrient-dose relationships, is the fact that for many HABs, acquisition of nutrients occurs not only in dissolved but also in particulate form. The balance between autotrophy and mixotrophy thus becomes another factor that can drive biodiversity changes. The synergism of phototrophy and heterotrophy in mixotrophs has important consequences for cell metabolism, especially the maintenance of cell stoichiometry. Mixotrophy not only is an important nutritional strategy in plankton that form toxic blooms, but it is this process that may allow blooms to be sustained in nutrient-enriched environments where both dissolved nutrients and prey are ample and may allow blooms to be sustained for longer periods than autotrophy alone would allow. This is a contribution of the GEOHAB Core Research Project on HABs and Eutrophication. The authors wish to thank T. Kana, K. Flynn, and A. Mitra for many fruitful collaborations that contributed to the ideas presented herein. This is contribution number 5405 from the University of Maryland Center for Environmental Science.